The migrate command looks at the INSTALLED_APPS setting and creates any necessary database tables according to the database settings in your mysite/settings.py file and the database migrations shipped with the app (we’ll cover those later). You’ll see a message for each migration it applies. If you’re interested, run the command-line client for your database and type \dt (PostgreSQL), SHOW TABLES; (MySQL), .schema (SQLite), or SELECT TABLE_NAME FROM USER_TABLES; (Oracle) to display the tables Django created. Like we said above, the default applications are included for the common case, but not everybody needs them. If you don’t need any or all of them, feel free to comment-out or delete the appropriate line(s) from INSTALLED_APPS before running migrate. The migrate command will only run migrations for apps in INSTALLED_APPS. Django apps are “pluggable”: You can use an app in multiple projects, and you can distribute apps, because they don’t have to be tied to a given Django installation. Generating admin sites for your staff or clients to add, change, and delete content is tedious work that doesn’t require much creativity. 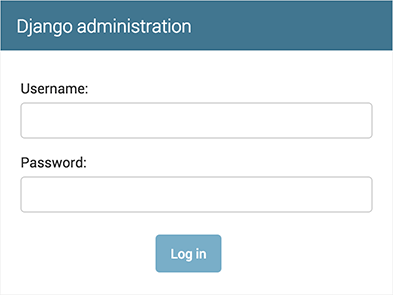 For that reason, Django entirely automates creation of admin interfaces for models.